Elegant, smokey, blush and gray wedding reception colors featuring Monogram Letter R.
and am now creating home decor and event gifts personalized with names and/or photographs. 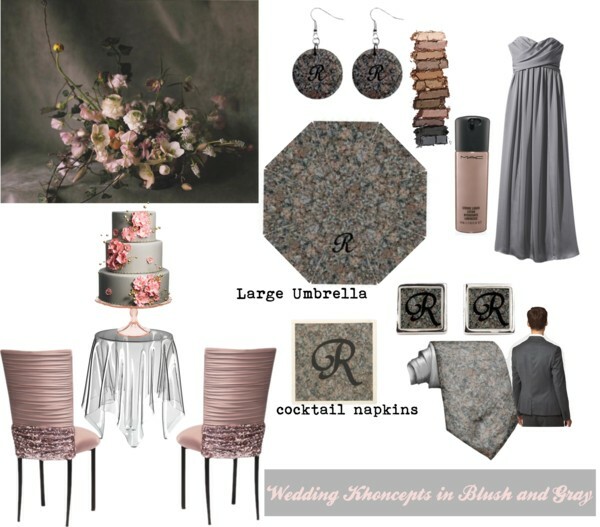 Posted on October 15, 2014, in Custom wedding accessories, Wedding Khoncepts Videotaping Services and tagged A. Celeste Sheffey, Boston Wedding Companies, custom wedding cuff links, custom wedding napkins, custom wedding neckties, custom wedding umbrellas, Monogram R, monogram wedding earrings, pink and gray wedding colors, polyvore, reception table settings, Wedding Khoncepts. Bookmark the permalink. Leave a comment.